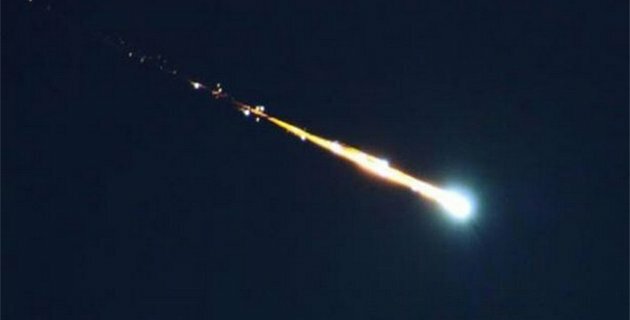 Mysterious Explosion Lights Up The Sky Of Corsica - Meteor? 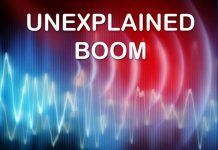 Home Boom Explosion Mysterious Explosion Lights Up The Sky Of Corsica – Meteor Disintegration? 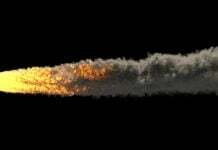 What was this mysterious explosion reported over Corsica on August 30 2014? According to witnesses, the loud boom lit up the sky. Was it a disintegrating fireball? In the night of Friday to Saturday, August 30, 2014, an explosion was heard at around 2am across Corsica. From Saint Cyprien, Chera through Muratello, Alistro, Bonifacio and up to Sartene, many people have reported a loud bang literally lighting up the sky. Was it related to a plane crash or a plane going sonic? There are no reports corroborating these hypotheses. Today, the best explanation is a meteor explosion. 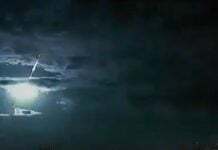 Many witnesses have indeed reported a bright light in the sky, a kind of flash shortly before the explosion. I’ve seen this light, when it exploded in the Gulf of Ajaccio. I also saw a large debris penetrating the atmosphere from Bastia. I was near Saint Florent (Corsica) and I’ve seen this light in the sky. It described a downward path in the South-North direction. I think this mysterious explosion was defenitively a booming meteor. What about you?